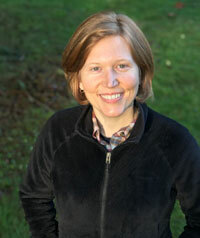 A. D. Pauli lives and writes in the greater Seattle area with her spouse and two children. Rainy days are her treasures, since sunny days bring outdoor activities and distractions from writing. She has fought (and won) against forest fires, judo black belts, and harrowing work deadlines. Her soul is most at home in the presence of snow-capped peaks, freshwater lakes, and deep forests. Or libraries in close proximity to any of those three things. These places sometimes find their way into her writing (especially the libraries). While there are many things in her stories that are reflections of her life, the bickering and explosions are not representative examples. Especially the bickering.